If you work in the field of aging services and ever wonder whether you’re really making a difference, this story is for you. 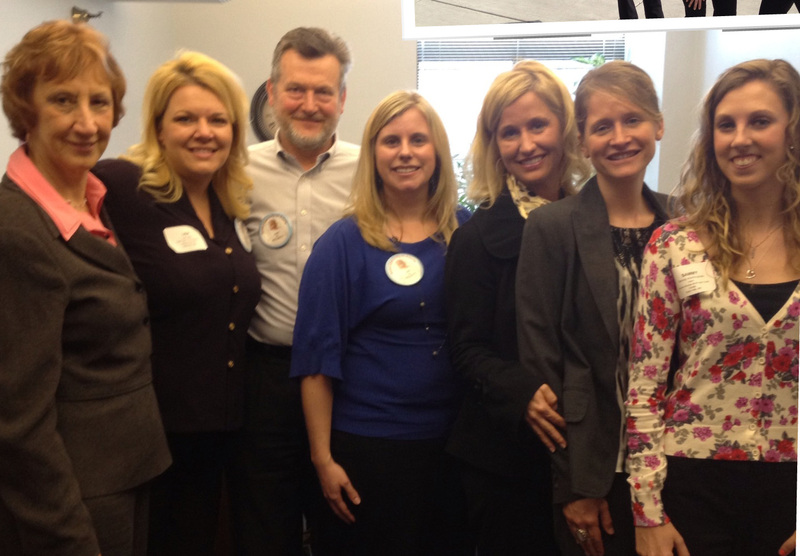 A few weeks ago, a team of amazing people from Presbyterian Homes & Services joined hundreds of Aging Services members for three days of face-to-face advocacy at the State Capitol in St. Paul. 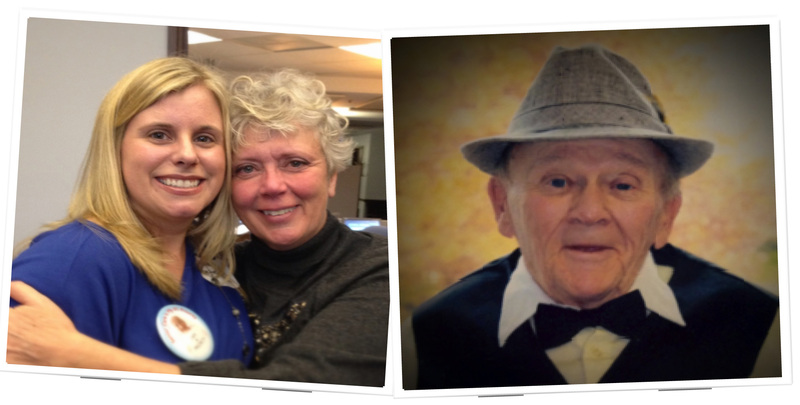 Brandi Barthel, Care Center Administrator at The Gables of Waverly Gardens, shared this moving story about the connection her team shared during their time at the Capitol. It is a powerful reminder of what it means to care for another person’s loved one – the gratitude that people have for this important and honorable work. It starts with a connection. As we were waiting for our appointment with Senator Goodwin, her Legislative Assistant Billie Ball approached me and said “Bambi?” I looked at her with a moment of confusion. It was then I remembered she was a family member of a past resident that resided at our Johanna Shores Memory Care Household. I stood with excitement as the tears flowed down her face. We shared the memories of her father who had passed away two years ago. She went back to her desk to grab a picture of her father dressed in his Sunday best wearing a hat and a big smile on his face. This picture was taken during the “glamour shots” activity that we hosted while he lived at Johanna Shores. She said it was one of her favorite pictures of her dad and had it proudly displayed on her desk. She stopped to show others who walked by the picture of her loving and happy father who embraced the staff of Johanna Shores as family just as we embraced him as our family. And as families do, we continued to reminisce about everything that made him unique and special. You can imagine how this inspired us as we were waiting to speak with Senator Goodwin about the much needed funding for our long term care employees and residents. When our appointment time arrived, she introduced us to Senator Goodwin as the team that cared for her father and she was so grateful for what we do. As we met with the Senator, we shared this story and she was compassionate towards our efforts to increase Long Term Care funding. It was because of the caring staff at Johanna Shores and many other facilities that lovingly embrace the residents that make the positive lasting impressions on families that choose to place their loved ones in our care. Reminiscing on those times that he shared with us at Johanna Shores reminds us why we have devoted our lives to this industry. Our nursing assistants and nurses make that happen each day for very little more than a thank you followed by a sincere smile from those that we care for. But unfortunately this is not enough to pay the bills for these special staff. The time has come that we must re-invest in the staff that care and make a difference to the parents and loved ones that supported us through our lives. Our mission says we take in and love the most frail of our people. It is up to us to ensure the staff that we count on to make these memories can afford to continue to serve, because we cannot afford to lose them. That is why we stressed to Senator Goodwin not to forget Long Term Care in the Legislative session this year. It is our front line care givers that need this funding to continue the loving support of our residents and families. Support us in making memories in years to come. Thank you, Brandi, for sharing this story. Because of your work, one more lawmaker knows just how important it is to support the caregivers who serve our loved ones.